The Barreto tow behind log splitter has the ability to split wood in both a horizontal position as well as a vertical position, which alleviates the need to lift heavy pieces on to the machine. A pin allows the boom to pivot to either position. The machine can handle nearly any size diameter log, but the length should be cut down to 24". The machine requires a 2" ball hitch to be transported back to your jobsite. Local delivery is available, rates vary by distance. 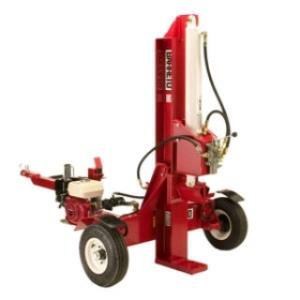 * Please call us for any questions on our log splitter gas 20 ton rentals in Hillsdale and Ridgewood NJ.